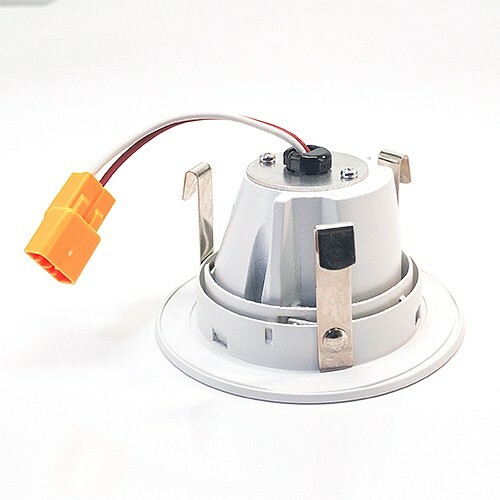 Ultra small and compact recessed ceiling fixture LED module. Part of our 2" LED recessed lighting family. Designer quality, flush ceiling fixture for kitchen accent lighting. Modern and energy saving long life integrated LED. Please see the specifications an details below. Must be used in a 2" recessed housing made with an internal driver. 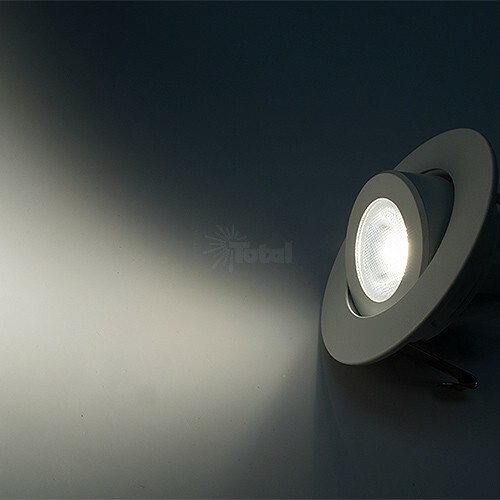 Tiny but powerful adjustable to about 30 percent tilt, very small down light with a warm light output similar to a halogen bulb but slightly cooler, very comfortable for home lighting, showers, bedrooms and living rooms. 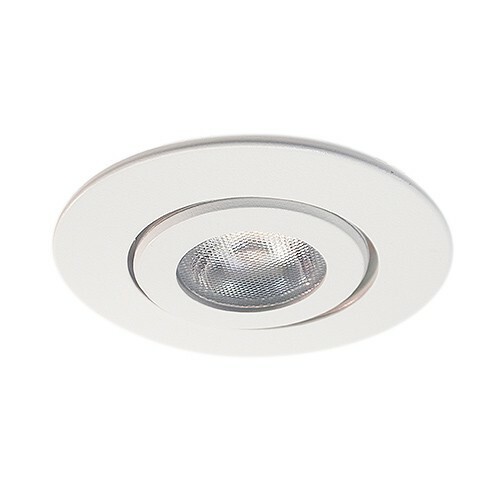 The 2" LED modules are our smallest and most unobtrusive LED recessed ceiling light. This is an extra small light fixture for all the areas that call for a bright dimmable beam of even LED lighting to fit into smaller special spaces. (see the specifications on this source) We find them perfect to add accents in entryways complimenting the chandelier, in restaurants to just add a little extra pool of down light over the customer tables to enhance the dining experience. We offer this LED module in three color temperatures. The 2700K is a warm light, it would match the color temperature of the halogen but nowhere near as warm as an old incandescent, if you are old enough to remember them. Perfect for a warm inviting environment, the restaurant mentioned above might be a good example for fine dining at night. We offer the 3000K, still considered a warm light source; we use these in new homes where you want to offer a slightly more natural light source. The 3000K as a very common color temperature in a number of applications, but not quite as warm as the 2700K. Finally the 4000K is a much more cool light source. We used it in some of the kitchens we designed where we needed a light source that would look good with lighter colored wood cabinets and white walls. Our designers almost always use the 4000K in kitchen projects. We also find that the 4000K is a great color temperature for offices, as the light color and even beam is perfect. The 2" recessed modules must be used with one of our 2" recessed LED housings as the LED driver is mounted in the housing not the module. For this reason you cannot use the 2" module offered here in other manufactures 2" housings. There are some exceptions, just contact us. 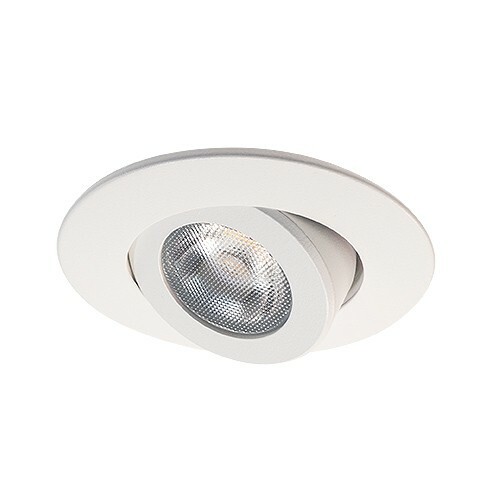 Our LED recessed lighting is a perfect choice where a LED ceiling light is required. The recessed nature of the fixture keeps the working parts of the light above the ceiling and only the clean simple LED recessed low profile trim exposed from below. We recommend our larger LED 6" as an effective kitchen ceiling light for best results. Proper recessed lighting is an important part of the bright, but even, lighting that is required in a kitchen work space. A modern LED ceiling mounted light is so important to kitchen lighting we wrote a very detailed article on this subject. See it in our blog at the top of this page. Meet or exceed the many energy standards of your community and enjoy the long life of the LED light but always get approval from your electrician to meet any local requirements or installation regulations. Testing shows a life of about 22 years in many applications. Please see our specifications section for details on each of our recessed LED models.